Although they've never exactly been keen on giving more powers to the gamers, Gearbox has caved in to consumer demand and has confirmed that there will be a Borderlands 2 level cap increase by the end of the year. Gearbox President Randy Pitchford wasn't shy about his desire to keep the current cap, saying in an interview with VentureBeat that anything beyond level 50 will simply break the game. Of course, even though he stated Gearbox is committed to an eventual level cap at the interview's end, his company's forum pages erupted at the news. In response, Pitchford took to Twitter to address the news about a definite level cap increase, as well as give a slight backhanded insult to his raging audience. I'll say: 100% chance of a level cap increase this year, but 50\50 on unforeseen consequences that some people will rage about. I do remember the cap being lifted in the first Borderlands, and I was finally able to close out my skill tree the way I wanted to. I have to agree with Pitchford on this one. My commando became unstoppable and cleared most of the DLC without so much as a sweat. Still wasn't enough to take down Crawmerax the Invincible, though. I'm currently strolling through my first character with Borderlands 2, so I have yet to hit the ceiling and get frustrated at being only a skill point away. I've heard quite a few of the endgame missions can be quite the challenge. I'm sure an extra ten levels might help there, but if Gearbox is really nervous about that, how about making the level cap available only as a New Game+ option? 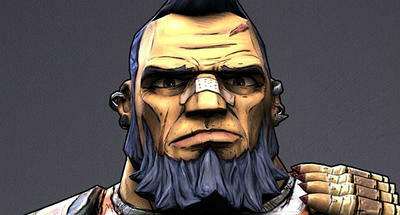 Borderlands 2 is available for the Xbox 360, PlayStation 3 and PC.